Traveling is a part of everybody’s life and today more than half of the world travels through flights. Air travel is the fastest mode of transportation and the most preferable mode of commuting either long or short distances for many passengers. As passengers travel through flights, they get many services from the airline company, one of which is an on-board meal. In-flight food began in the 20th century, on 11th October 1919, and was first served in Handley Page during the flight from London to Paris, with pre-packed lunch boxes at three shillings each. 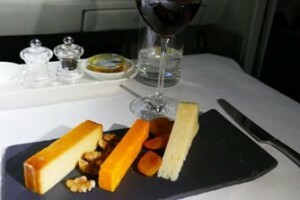 From then up until now, through advanced technology used by the airline companies, an improved In-flight food has begun to be served to passengers regularly. While discussing this topic with travellers, I got an opportunity interview British Deputy High Commissioner Mr. Andrew Fleming who is a frequent traveller, and ask his opinion on in-flight meals and airport lounge food. Mr. Andrew Fleming has been appointed as the British Deputy High Commissioner to Andra Pradesh and Telangana. He has been a Civil Servant since 1986, for about half of his career i.e. 17 years. Fortunately, he has enjoyed the travelling aspect of his job and loves to explore foreign countries, meet new people, and learn about different cultures and cuisines. Beyond that he enjoys watching sports and doing photography. 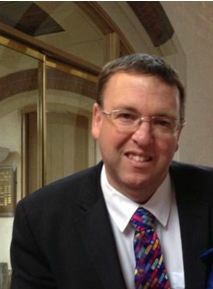 His wife often tells him that he is addicted to Twitter, on which he tweets about a multitude of professional and personal interests from the handle - @Andrew007Uk. Q.) Traveling is a part of your job, so how many countries have you travelled so far? Andrew - I have been to 113 countries. A little over half of these I have visited on my own private trips. The others I have been to for the purpose of representing my country in different roles. Q.) You are an air traveller, so how you manage your time in long haul flights? Andrew - I enjoy the flying experience, to be honest it is one of the few times I relax. If there is on board entertainment I like to listen to music or watch a few films; since becoming a father 13 years ago I seldom get a chance to do such things. I also have an ability to sleep almost anywhere. So unless there is pressing work (which sometimes there is), I try to keep my precious flying time free to relax and sleep (especially if by sleeping I get a head start on beating the worst excesses of jet lag). Q.) What do you think about the in-flight food served in the flights? Andrew - I think the airline industry operates on a tight profit margin. Many airlines are looking to make savings and when I think about the kind of meals I was served in Economy during the days I travelled for pleasure or was courting my wife, the quality is inferior on airlines like Malaysian and Thai (though still reasonable). In Business Class, which I also fly occasionally, the quality has been more consistent and I feel some airlines have improved as competition to fill this cabin intensifies (Emirates and Singapore Airlines have been a constant source of quality, Etihad Airways really impressed me on my last flight compared to earlier trips, Lufthansa Airlines too I feel has become more innovative). And increasingly, a number of airlines offer dine before you fly which appeals to some business travellers. Q.) 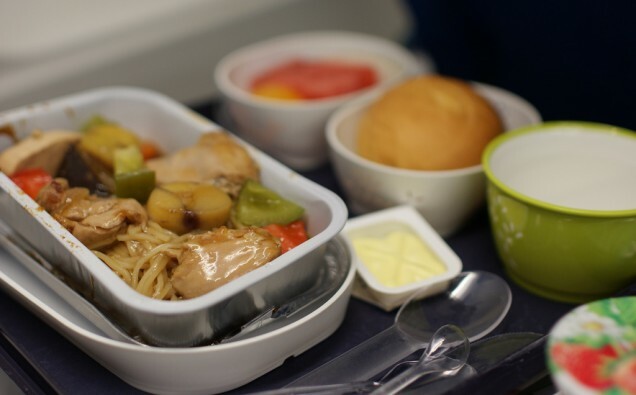 According to you what measures should airline companies take to make their in-flight food better? Andrew - I think variety is important. I have previously flown by airlines like Austrian and Turkish, two segments in Business Class, and had the same menu option. Where breakfast is offered I have been on business flights where were 4 choices containing egg. I find this incredible, not everyone wants to eat eggs. I expect enough diversification in a premium cabin to avoid this kind of situation. Yes I can ask for a vegan meal but I really do not want that (and often I find special meals in premium cabins which are inferior in terms of accompaniments and presentation). Then there is bread. Vistara Airlines, the excellent new Tata/Singapore joint venture consistently serves well above average meals in economy and premium economy. Almost always Indian inspired but it comes with a western style bread role. In some cases there are two types of bread which can actually be too much bread. I think my point is about what compliments what; a little more thought can go a long way. Q.) 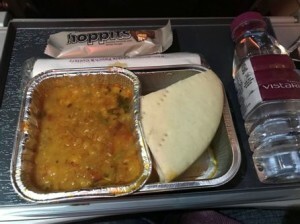 Is in-flight food equal to the food served in restaurants? Andrew - I have had some superb meals in the sky and some dreadful ones on the ground. But in general, what is cooked freshly is best. And some airlines have a sky chef now which has further enhanced in-flight dining, but put any of those chefs in a kitchen with all utensils and additional access to ingredients to innovate and the chances are they will prepare something even better. Q.) Which is your favourite place to travel? Andrew - I have been blessed to go to so many countries it is almost impossible to name one. And if I did name one it would be in South/Central America where I have travelled the least but had immense fun each of the three times I have. But if you talk about enjoying the journey, I like the Europe to SE Asia route and a direct flight. A chance for a good meal, couple of interesting movies and a decent sleep; of course I would have to say something nice about South East Asia as my wife may be reading this!